Betsafe – Daily Casino Boosts | Week 7! Get ready for a daily boost with Bonus Spins, cash prizes or bonuses! The 2018 FIFA World Cup has come to a surprising conclusion which saw the small nation of Croatia facing France in the final. “Les Bleue” emerged victorious and were crowned the new World Champion. 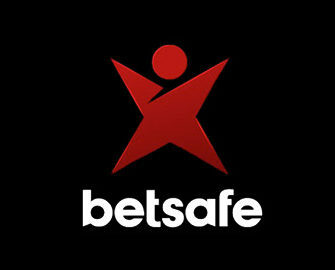 At Betsafe, everyone will be a winner again this week, courtesy of their “Daily Boosts” campaign where all players can look forward to tournaments with cash prizes, wager rewards, Bonus Spins on deposit or a generous deposit bonus. Log-in today to earn a wager reward when playing the classic Magic Portals slot from Netent. 19th – 23rd July 2018: Asgard Cash Race – Earn one point for every €10 wagered on Asgard. 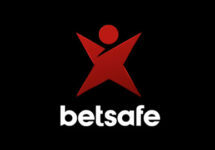 TOP5 scorers will win cash prizes from €50 – €500, credited on 24th July with no wagering requirement. Leader board is updated once per day between Monday and Friday. Thursday, 19th July 2018: Throwback Thursdays – Deposit minimum £/€ 20 and wager minimum £/€ 50 on – TBA – to instantly receive 25 Bonus Spins. WR is 35x FS winnings within 3 days. Friday, 20th July 2018: Reload Bonus – Deposit minimum £/€ 20 to receive a 50% deposit bonus, up to £/€ 15. Wagering requirement is 35x bonus within seven days. Saturday, 21st July 2018: Bonus Spin O’Clock – Deposit minimum £/€ 30 in a single amount to instantly receive 40 Bonus Spins on Lights™. WR is 35x FS winnings within three days. Sunday, 22nd July 2018: Bonus Spin Bonanza – Deposit min. £/€ 20 to instantly receive 20 Bonus Spins on Sweet Alchemy. Play the slot at any bet size and hit the bonus round once to receive another 20 Bonus Spins, credited by 19:00 CET on Monday. WR is 35x FS winnings within 3 days. Monday, 23rd July 2018: Bonus Spins Galore – Make a deposit of minimum £/€ 20 and wager a total of £/€ 50 | £/€ 100 on – TBA – to instantly receive 25 | 50 Bonus Spins on the same game. Maximum reward is 75 Bonus Spins per player. WR is 35x FS winnings within seven days. Tuesday, 25th July 2018: Live Casino Bonus – Wager minimum £/€ 50 on Dream Catcher or Lightning Roulette to instantly receive a £/€ 5 bonus. WR is 35x bonus within seven days. Wednesday, 26th July 2018: Lucky Spin – Enjoy 1 Bonus Spin on Hall of Gods™, no deposit needed. The TOP3 scoring the highest wins from the spin will be rewarded with cash prizes: 1st – £/€ 200 | 2nd – £/€ 100 | 3rd – £/€ 50, credited with no wagering requirement by 15:00 CET on Thursday.